Dr. Sietsema is Division Chief and Professor of Medicine, David Geffen School of Medicine at UCLA. She attended Northwestern University School of Medicine, had post-graduate training at the University of California, Davis and the University of Washington, and fellowship training in pulmonary medicine at Harbor-UCLA Medical Center. Her academic interests are in the area of exercise physiology and the use of exercise testing in clinical and research applications related to patients with chronic disease. She is the current organizer for the Practicum in Exercise Testing and Interpretation, a post-graduate conference established by Drs. Wasserman and Whipp conducted twice yearly at Harbor-UCLA continuously since 1982. Dr. Casaburi is Associate Chief for Research; Professor of Medicine, David Geffen School of Medicine at UCLA; Medical Director, Rehabilitation Clinical Trials Center, and the Alvin Grancell/Mary Burns Endowed Chair in the Rehabilitative Sciences at LA BioMed. 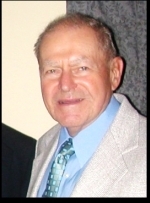 Over the past 25 years, he has focused on COPD. In 1999, Dr. Casaburi established the Rehabilitation Clinical Trials Center, a clinical research facility dedicated to improving the lives of COPD patients. Dr. Casaburi has completed more than 50 clinical research studies, including participation in three major NIH multicenter projects. Dr. Casaburi pursued a degree in electrical engineering from Rennselaer Polytechnic Institute (RPI). He followed with a master’s degree and doctorate in biomedical engineering, also from RPI, before completing a post-doctoral fellowship in biomedical engineering at USC. Five years after joining the Department of Medicine faculty at Harbor-UCLA, Dr. Casaburi left to pursue his MD at the University of Miami, School of Medicine. He returned to Harbor-UCLA Medical Center, where he completed internship, residency and pulmonary fellowship and rejoined the faculty. He was Chief of the Division from 1998-2004. Dr. Chang obtained his medical and undergraduate degrees at UCLA. He completed his internal medicine training and chief residency at Harbor-UCLA and his fellowship in pulmonary and critical care medicine at the University of Washington. He is Director of the Medical-Respiratory ICU. 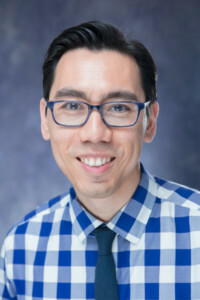 His research interest is in improving the delivery of care for patients with sepsis, with a focus on identifying new healthcare models to reduce hospital readmissions. Outside of medicine, he enjoys spending time with his wife and daughter in the beautiful South Bay. Dr. Effros is Visiting Professor of Medicine, UCLA and formerly Chief, Division of Pulmonary and Critical Care Medicine, Medical College of Wisconsin. 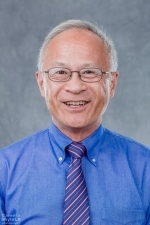 He has an extensive background in research related to fluid balance in the lung, composition of alveolar lining fluid and methodologies for quantifying solutes by imaging, lavage, and analysis of exhaled gas condensates. 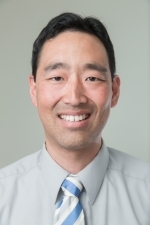 Dr. Hsia is Associate Professor of Medicine, David Geffen School of Medicine at UCLA, Program Director for the fellowship program, and Director of Bronchoscopy and Interventional Pulmonary Services. He is fellowship-trained in Interventional Pulmonology. His interests include applications of advanced pulmonary procedures and high altitude physiology. Dr. Lanks is Assistant Clinical Professor of Medicine, David Geffen School of Medicine at UCLA, and Associate Program Director for the fellowship program. He completed his undergraduate training at Columbia University’s School of Engineering and Applied Sciences in New York with a degree in Applied Physics. He went on to receive his medical degree from the State University of New York in Brooklyn and his internal medicine and fellowship training at Harbor UCLA. His academic interests include point of care ultrasound and the use of novel monitoring devices in critically ill patients. 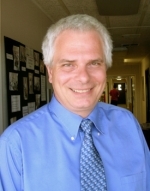 Dr. Porszasz is Associate Professor of Medicine, UCLA. He is a core member of the research faculty and Technical Director of the Rehabilitation Clinical Trials Unit. His interests include exercise testing methodology and mechanisms of exercise limitation in chronic obstructive pulmonary disease. Dr. Rossiter is Director of Research Training, and Associate Professor of Medicine, David Geffen School of Medicine at UCLA. 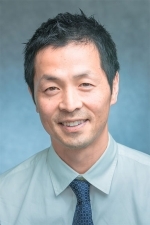 He conducts clinical and translational research in respiratory and exercise physiology at the Rehabilitation Clinical Trials Center in LABioMed, including NIH multicenter projects. He has published over 50 original research articles with an emphasis on exercise tolerance in health and chronic disease. Dr Rossiter received a PhD in Physiology from the University of London, and conducted his postdoctoral training at the Department of Medicine at UCSD. Dr. Stringer is Professor of Medicine, David Geffen School of Medicine at UCLA. He attended the University of California, San Diego, School of Medicine, and did internal medicine residency and fellowship training in pulmonary medicine at Harbor-UCLA Medical Center. 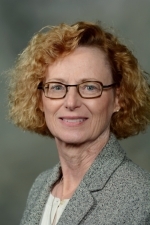 Dr. Stringer is former Chair, Department of Medicine, Harbor-UCLA Medical Center and has interests in exercise physiology and gas exchange, and quality improvement. 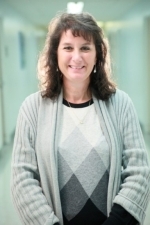 Dr. Sue is Professor of Clinical Medicine, David Geffen School of Medicine at UCLA. He attended the University of California, San Francisco, School of Medicine, and had post-graduate training in internal medicine and pulmonary medicine at Harbor-UCLA Medical Center. For 23 years, Dr. Sue was Program Director for the internal medicine residency at Harbor-UCLA Medical Center. Currently, he serves as Chair of the Harbor-UCLA Bioethics Committee. 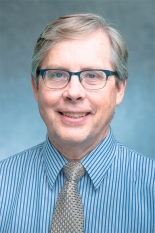 With other members of the Division, he is a co-author for all five editions of “Principles of Exercise Testing and Interpretation,” and three editions of “Current Critical Care Diagnosis and Treatment.” He is a member of the Editorial Board of the Journal of the American Geriatrics Society. He recently presented a discussion on the physiology of oxygen therapy for hypoxemia in the Annals of the American Thoracic Society. Dr. Vintch is Professor of Medicine, David Geffen School of Medicine at UCLA and also a member of the Division of General Internal Medicine at Harbor-UCLA Medical Center. She obtained her medical degree at USC after attending UCLA. She completed her internal medicine residency, chief residency, and pulmonary/critical care fellowship at Harbor UCLA. After completing her fellowship, she pursued additional training in Sleep Medicine. She currently serves as Vice Chair for Ambulatory Affairs for the Department of Medicine, and is Past President of the Professional Staff Association. In addition, she attends on medicine wards, outpatient ambulatory clinics including the Perioperative Medicine Clinic and Pulmonary Clinic, the Medical ICU, and Pulmonary Consultation and Bronchoscopy service. Her areas of interest include venous thromboembolic disease and sleep medicine. She is currently working with the ACCP as a member of a team of experts revising the treatment guidelines for venous thromboembolic disease. Outside of medicine, she enjoys camping, fishing, motorcycle riding, reading non-medical related books, and spending time with her boys and dogs. 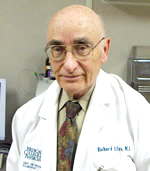 Dr. Wasserman is Emeritus Professor of Medicine, UCLA, and served 28 years as Chief of the Division. The author or co-author of over 300 research articles and recipient of numerous honors and awards, he is a member of the American Thoracic Society, American Physiological Society, American Society for Clinical Investigation, and Association of American Physicians. His current major research interest focuses on new therapeutic approaches for primary pulmonary hypertension and congestive heart failure. Other areas of major contribution are in exercise physiology and metabolism, ventilatory control, and cardiopulmonary physiology. 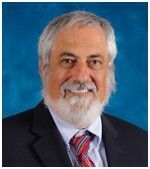 Dr. Wasserman is the lead author of “Principles of Exercise Testing and Interpretation,” now in its 5th Edition, with other members of the Division as co-authors.